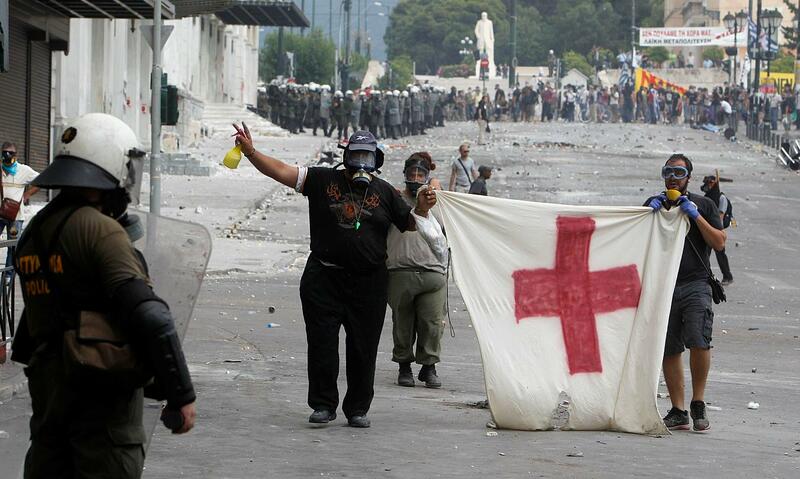 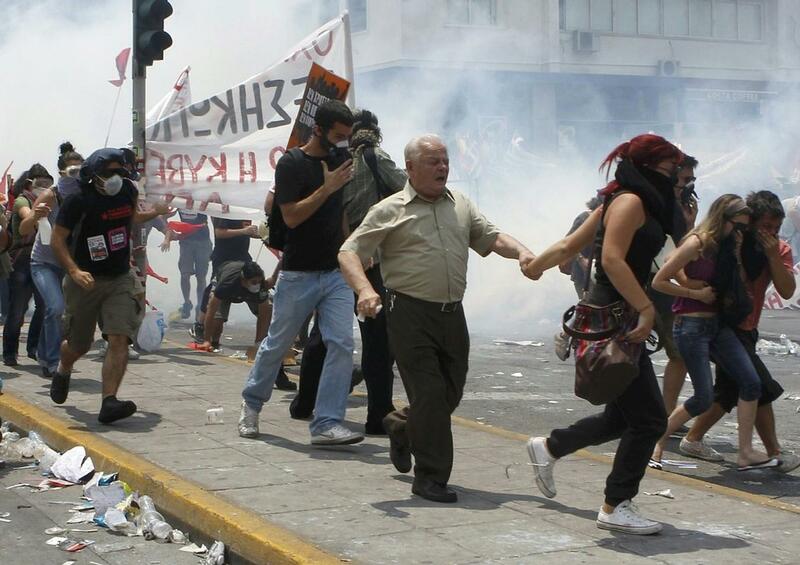 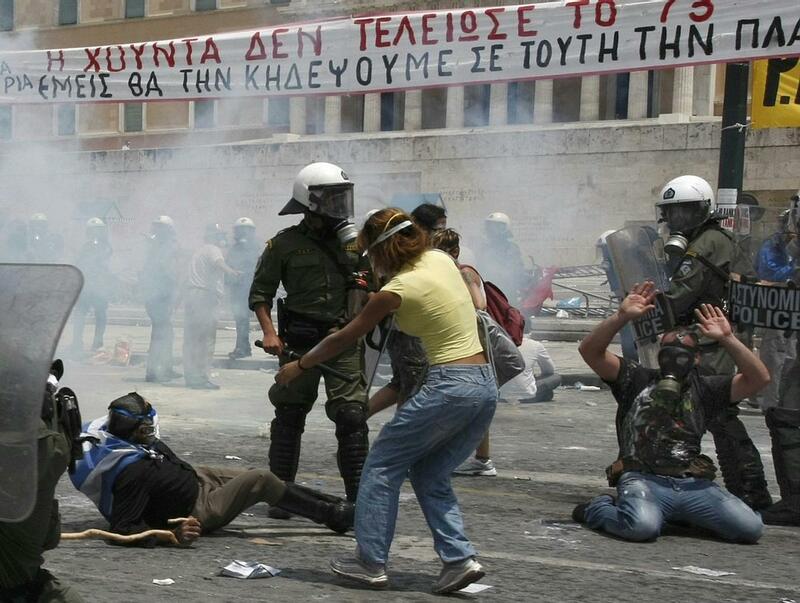 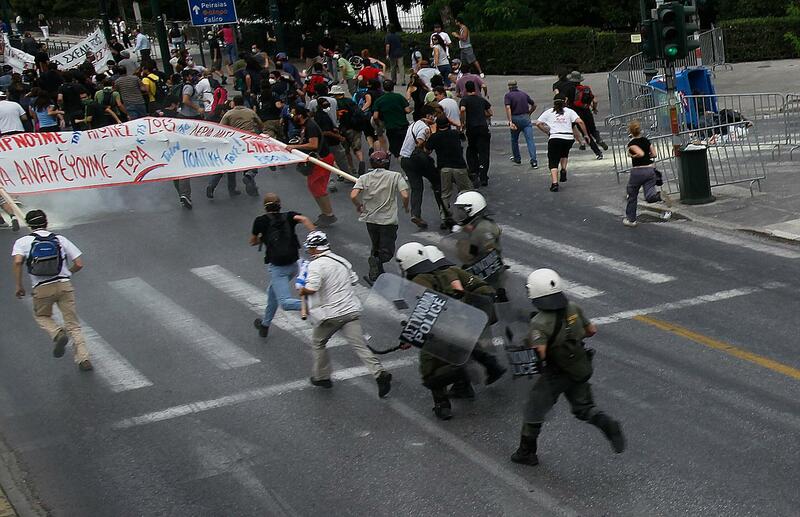 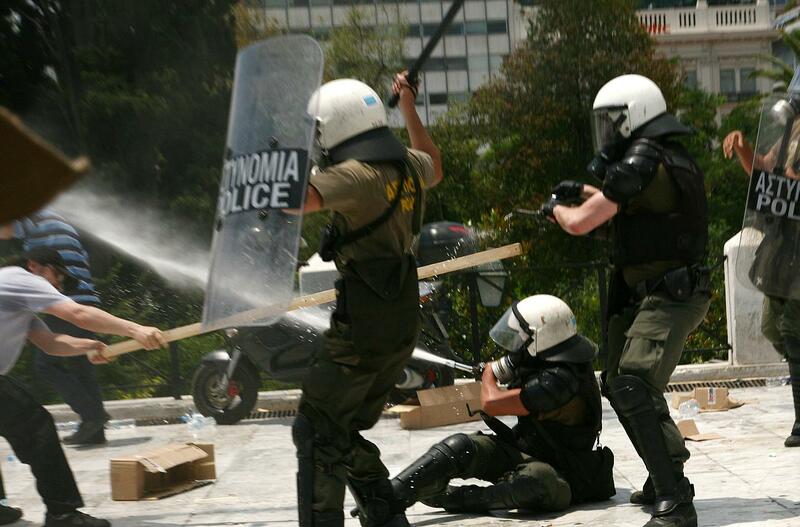 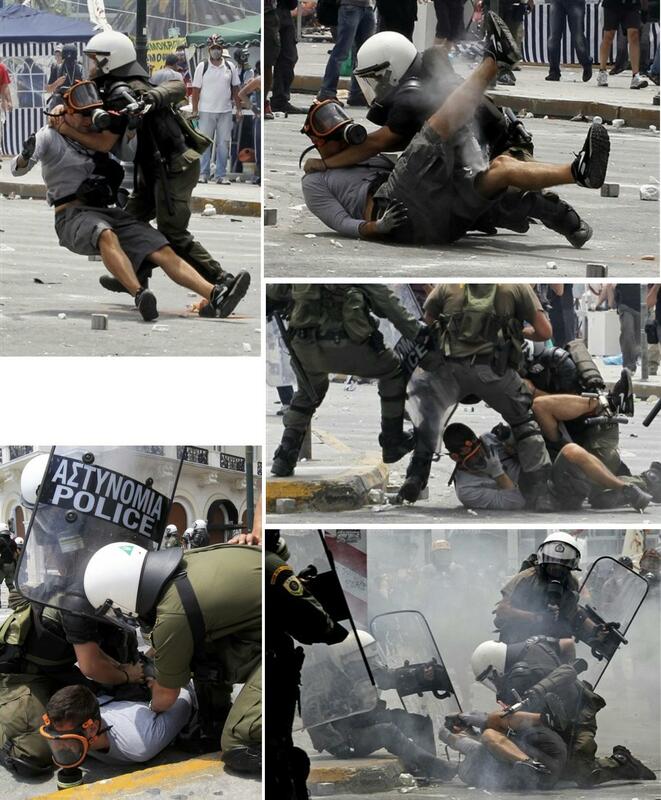 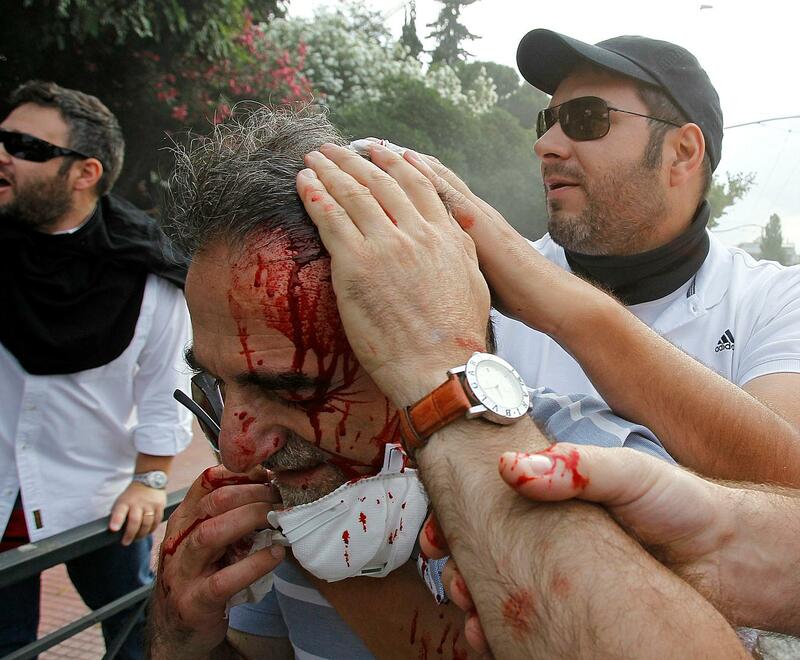 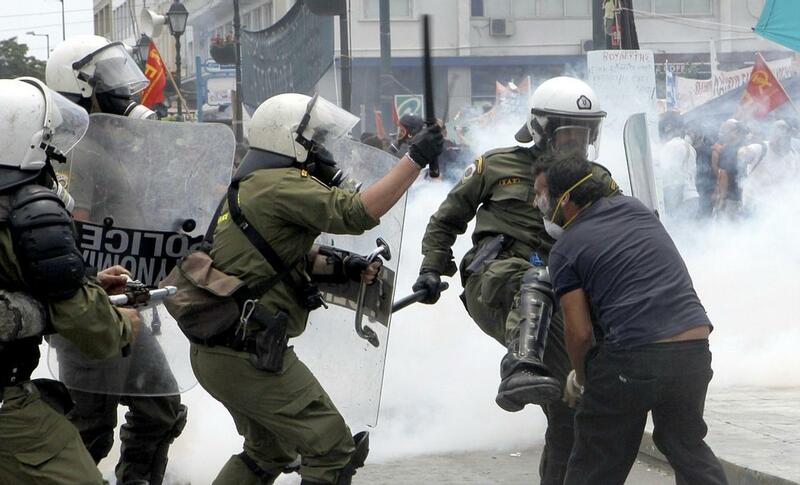 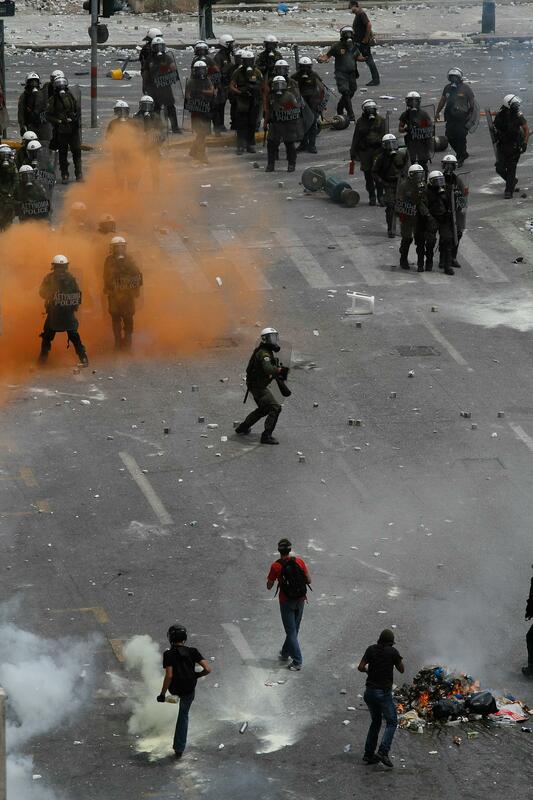 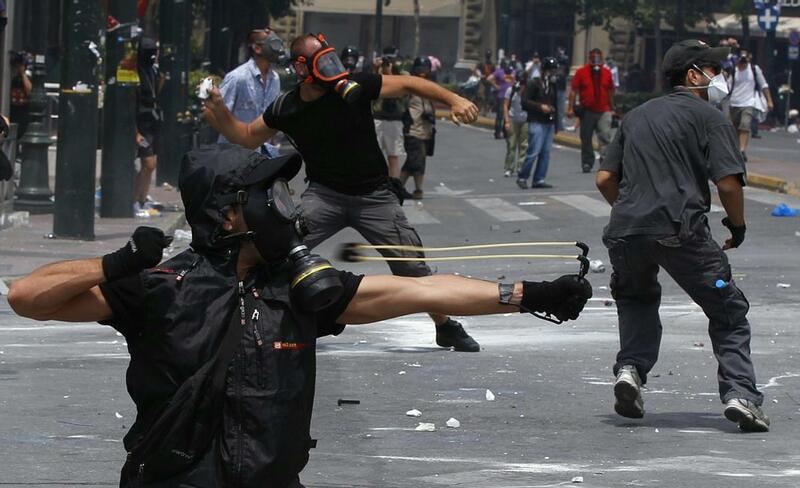 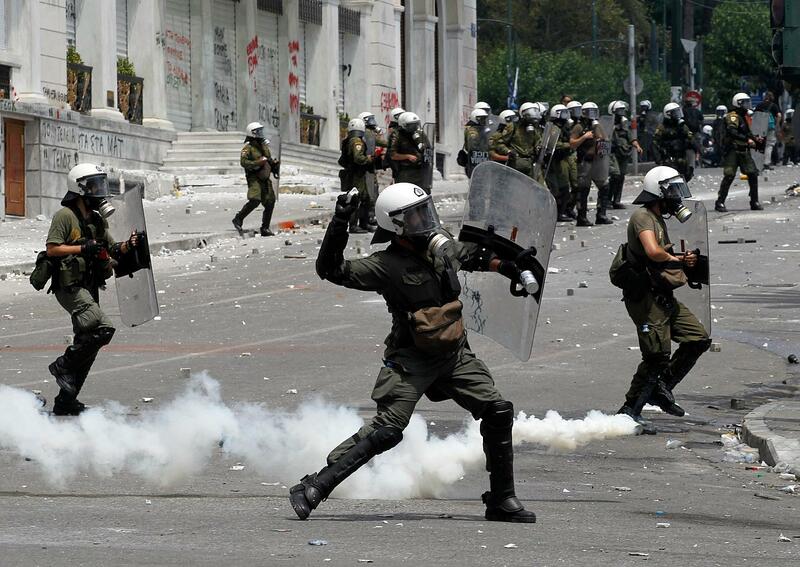 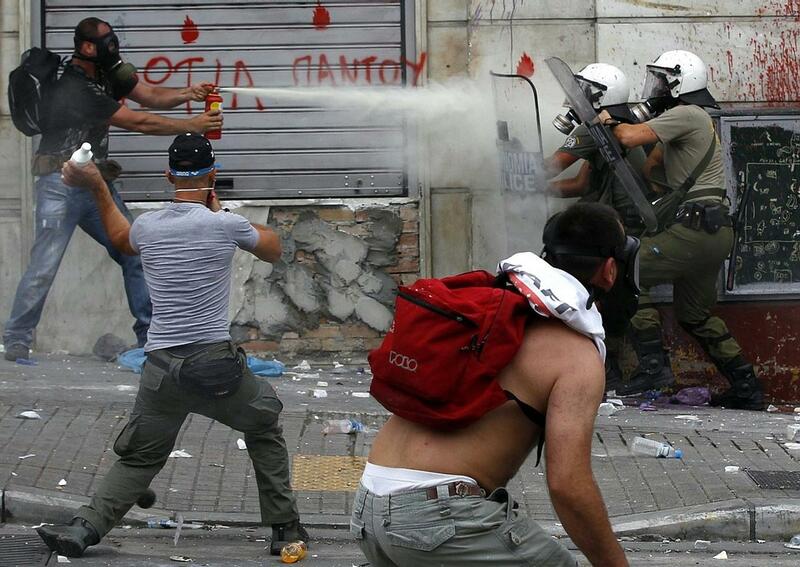 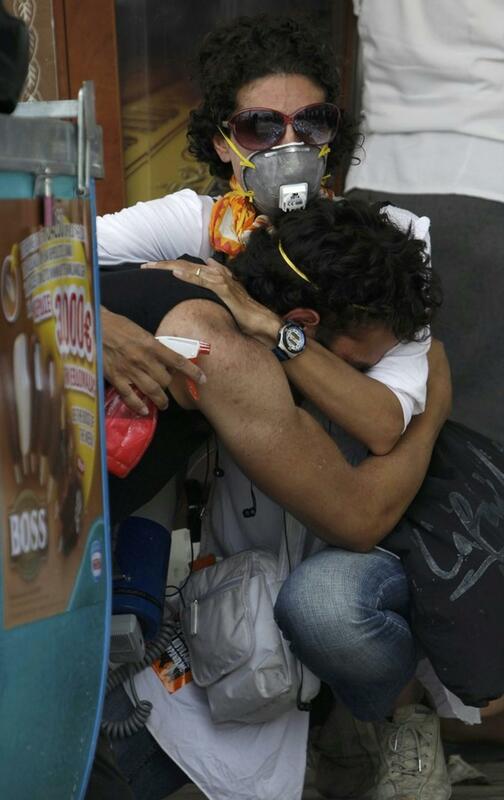 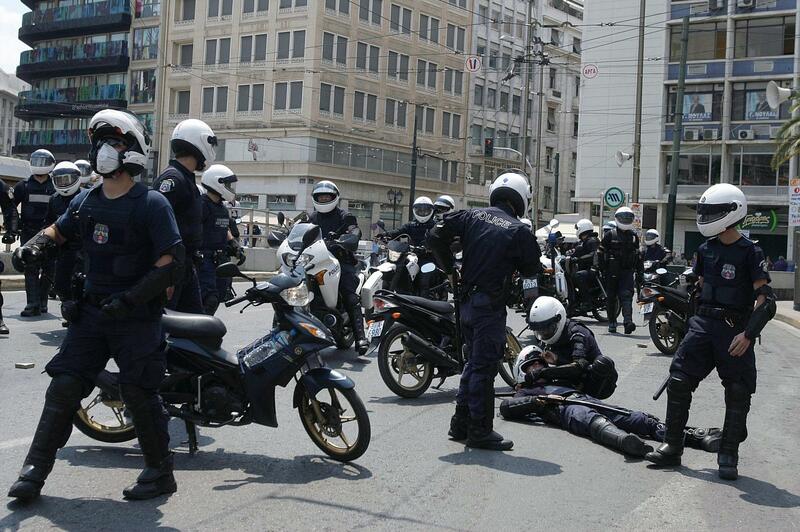 Riot police officer help an injured colleague, during clashes at a union protest in Athens on Tuesday, June 29, 2010. 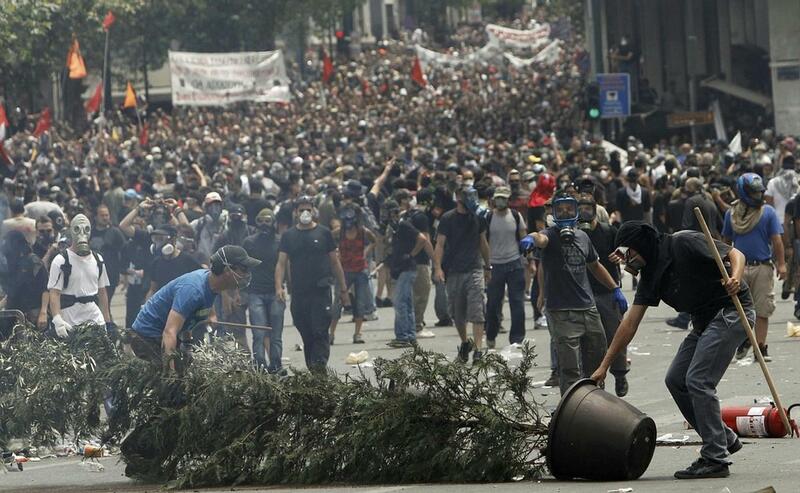 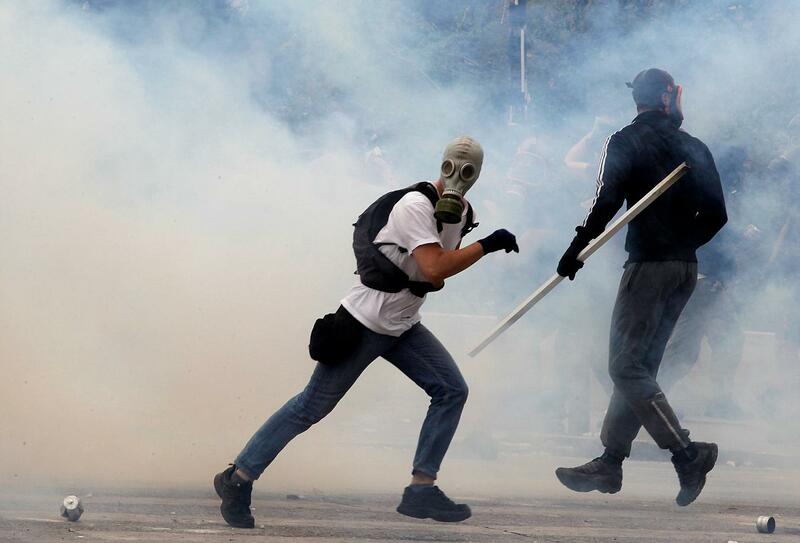 Some 16,000 people took part in two separate demonstrations, the second of which turned violent as stone-throwing youths fought with riot police. 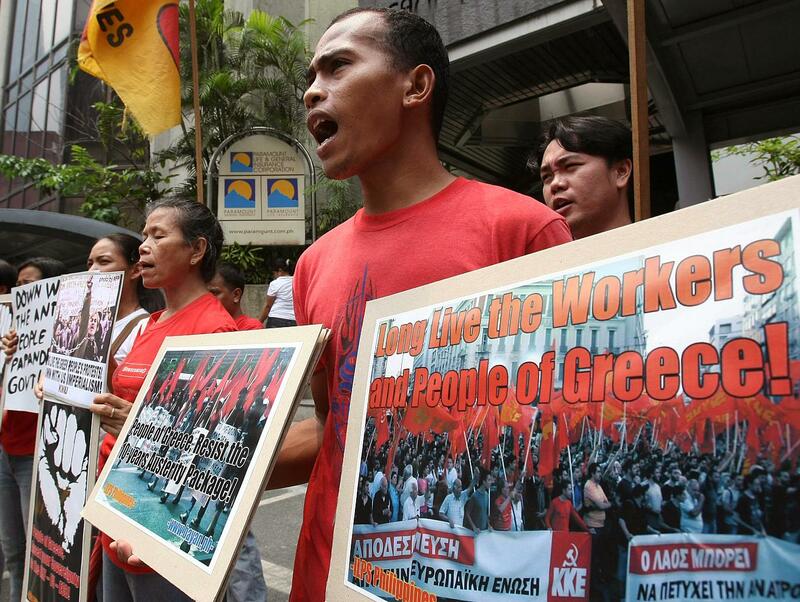 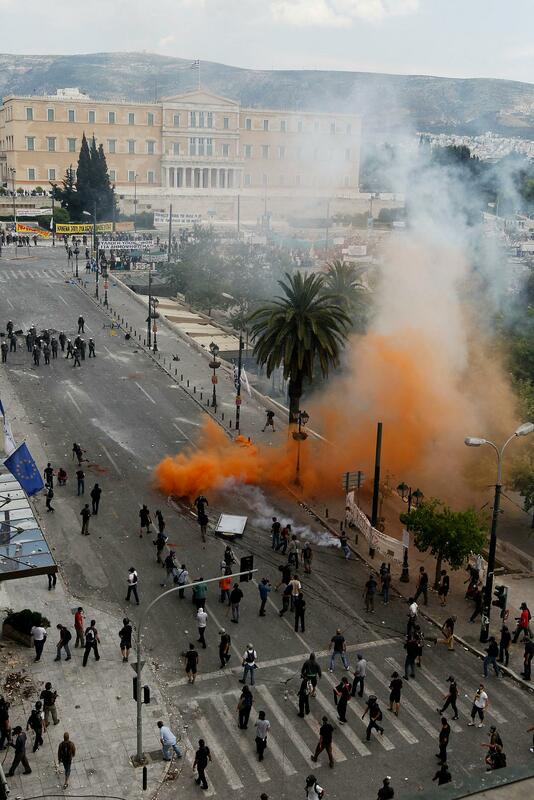 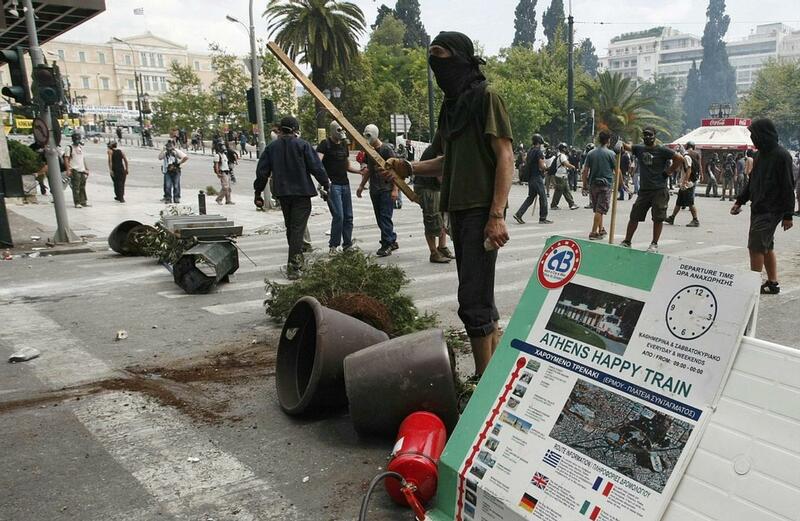 Public services shut down across Greece Tuesday as workers walked off the job in a new nationwide general strike that disrupted public transport, left hospitals operating on emergency staff and pulled all news broadcasts off the air. 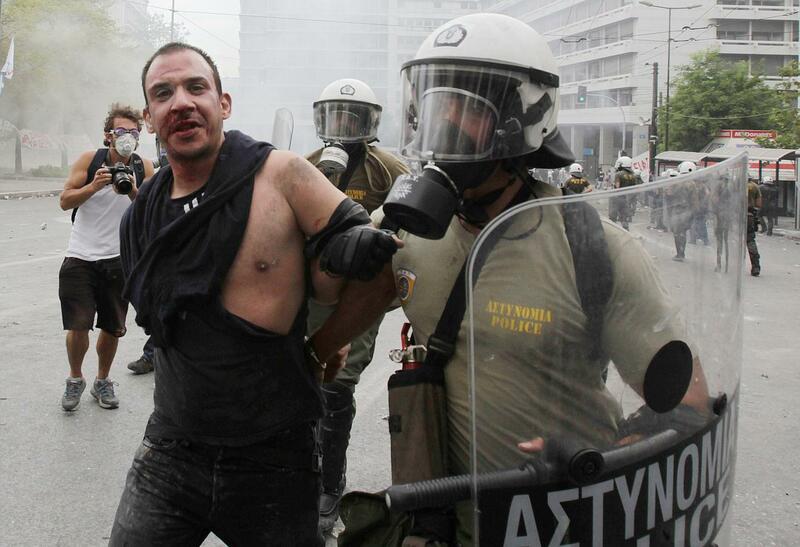 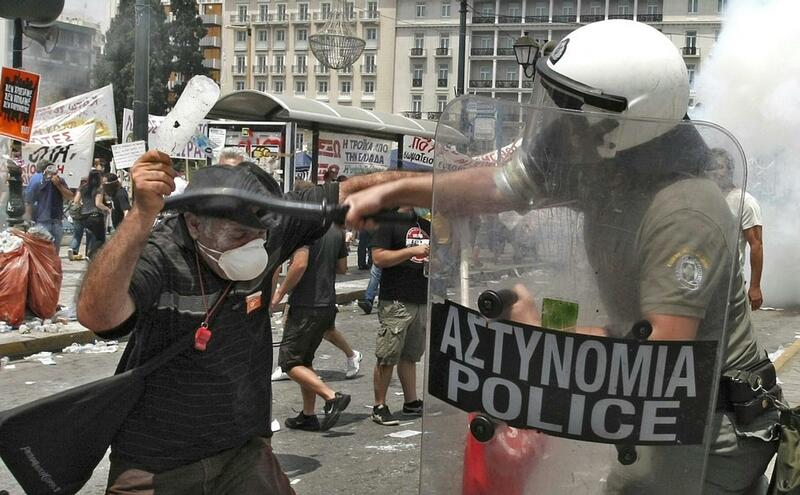 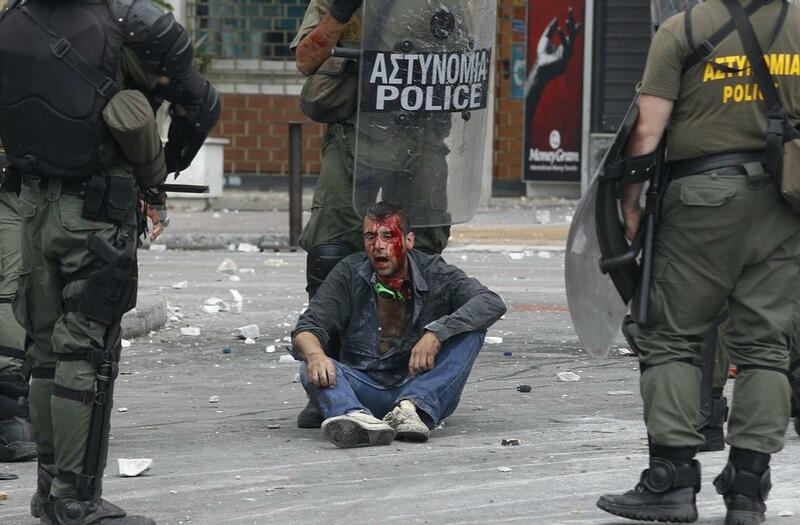 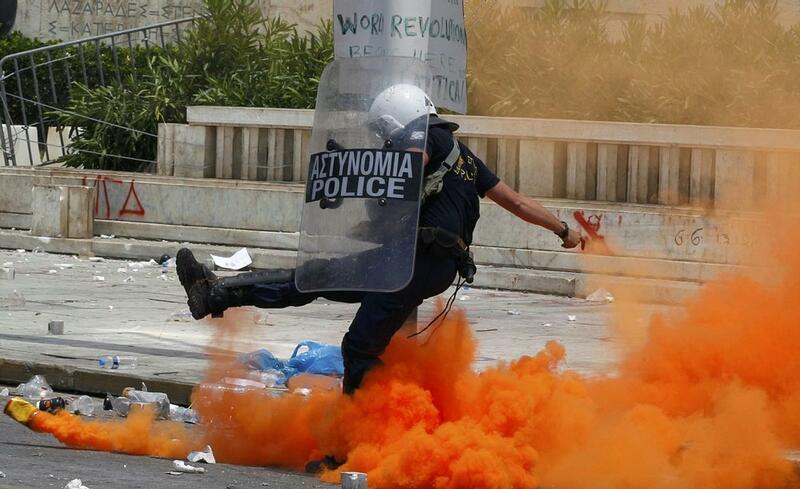 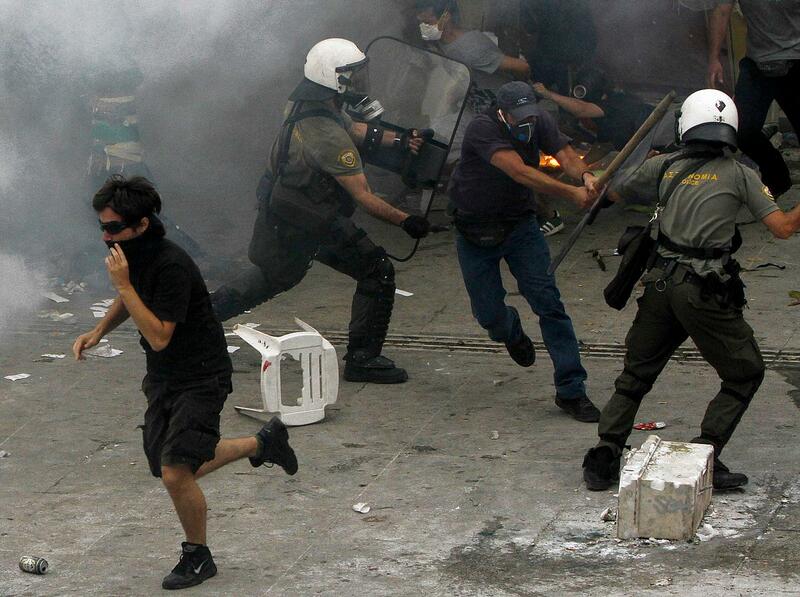 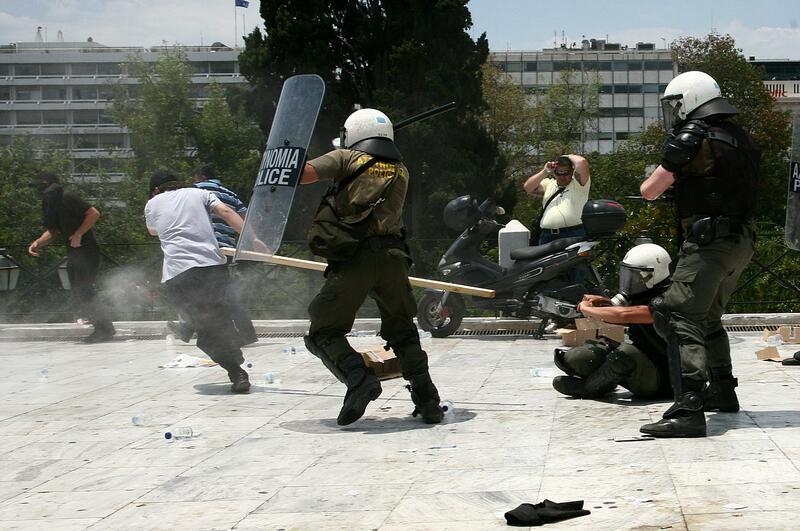 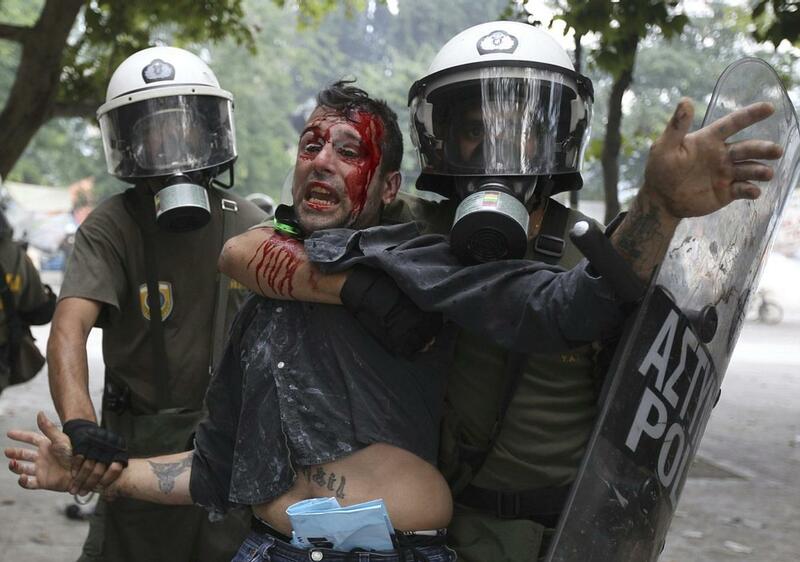 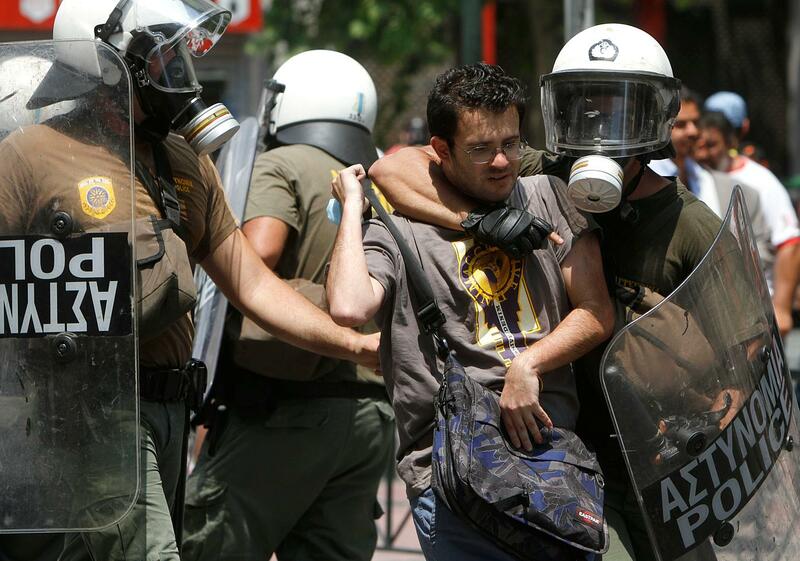 Riot policemen detain a suspected rioter during clashes at a union protest in Athens on Tuesday, June 29, 2010. 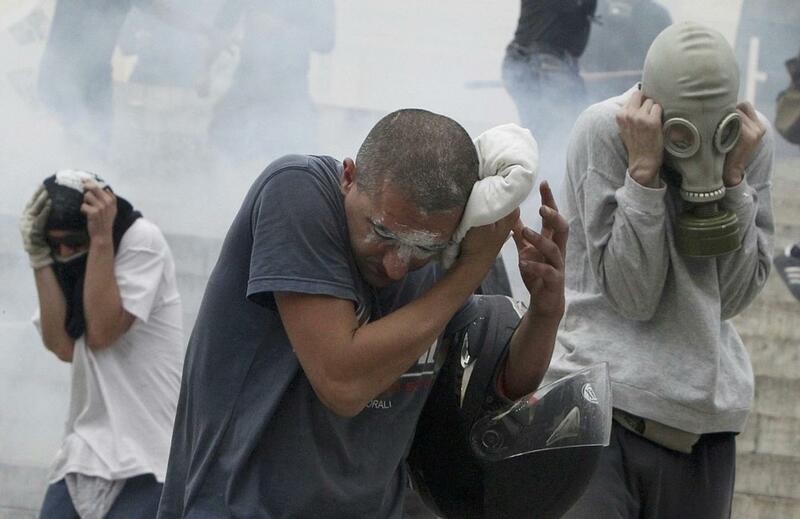 Some 16,000 people took part in two separate demonstrations, the second of which turned violent as stone-throwing youths fought with riot police. 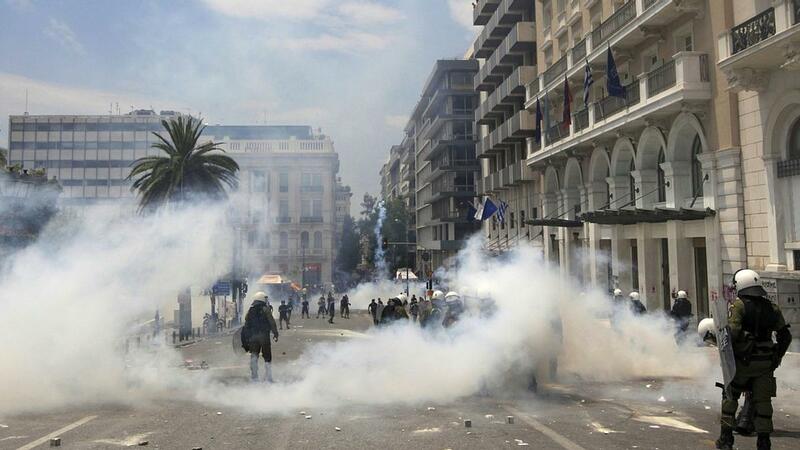 Public services shut down across Greece Tuesday as workers walked off the job in a new nationwide general strike that disrupted public transport, left hospitals operating on emergency staff and pulled all news broadcasts off the air. 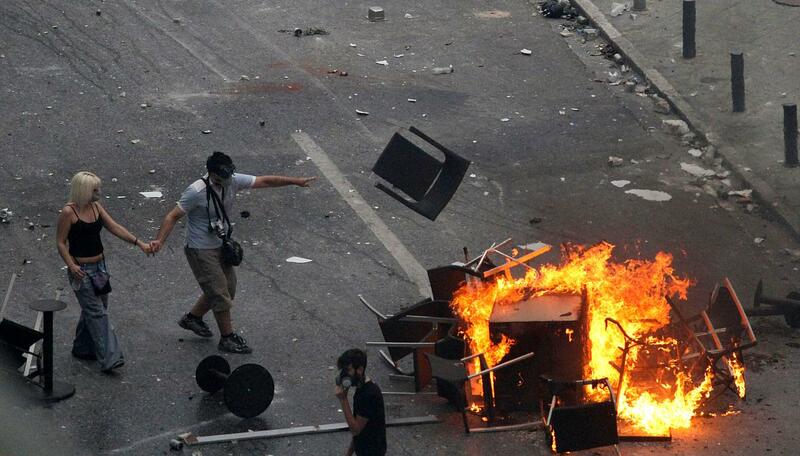 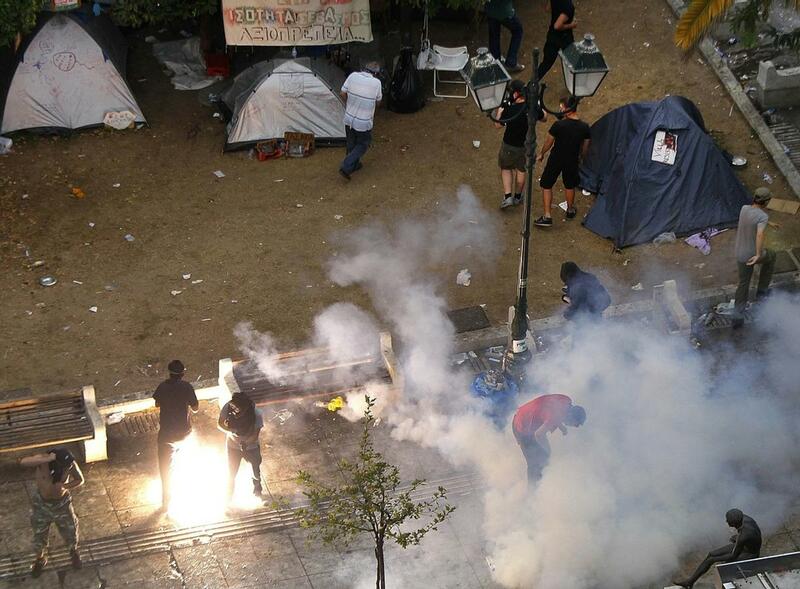 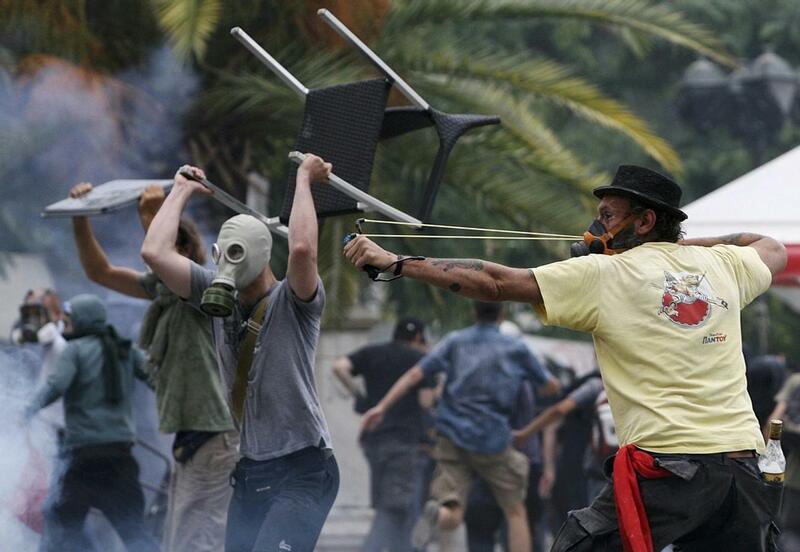 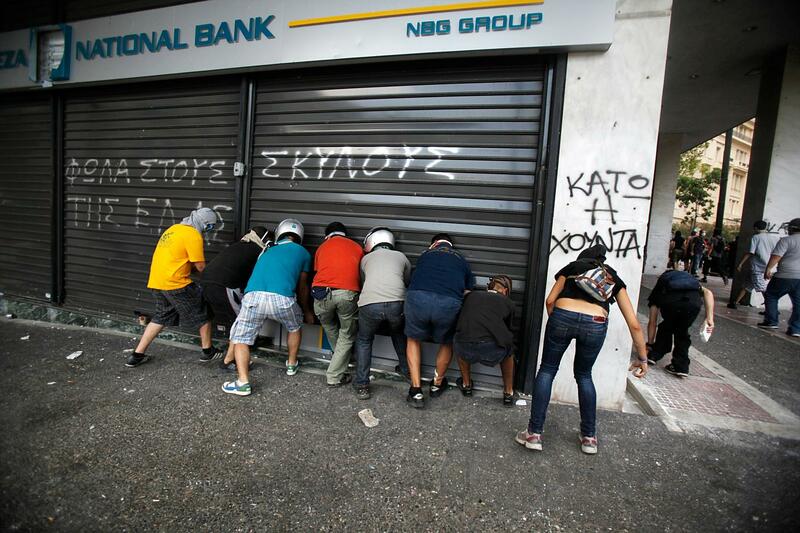 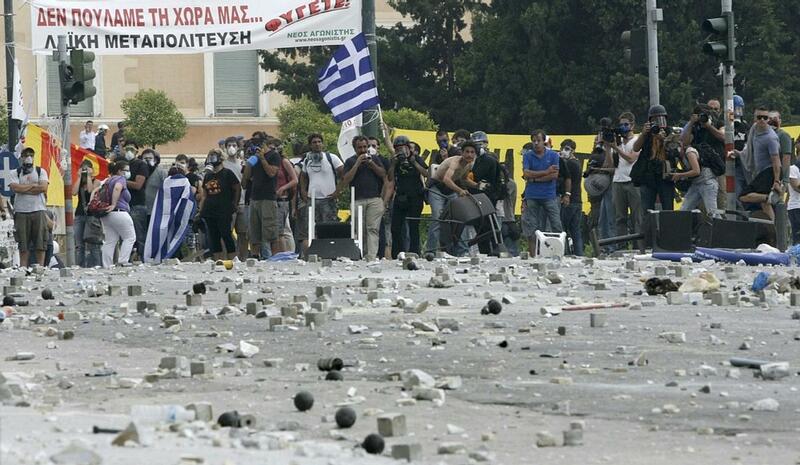 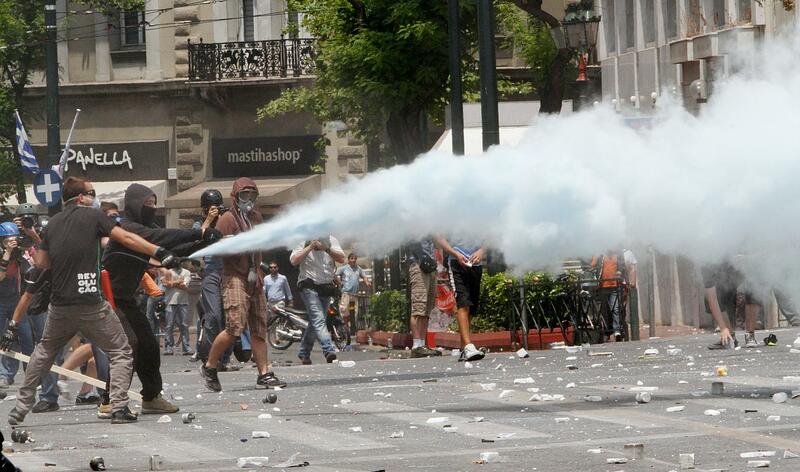 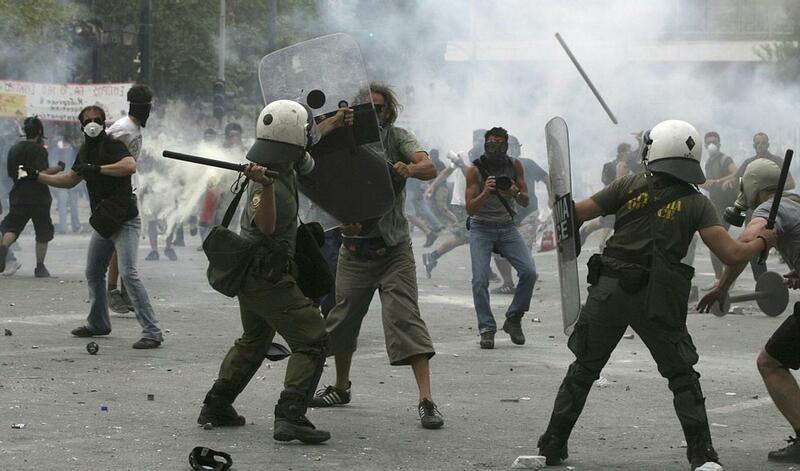 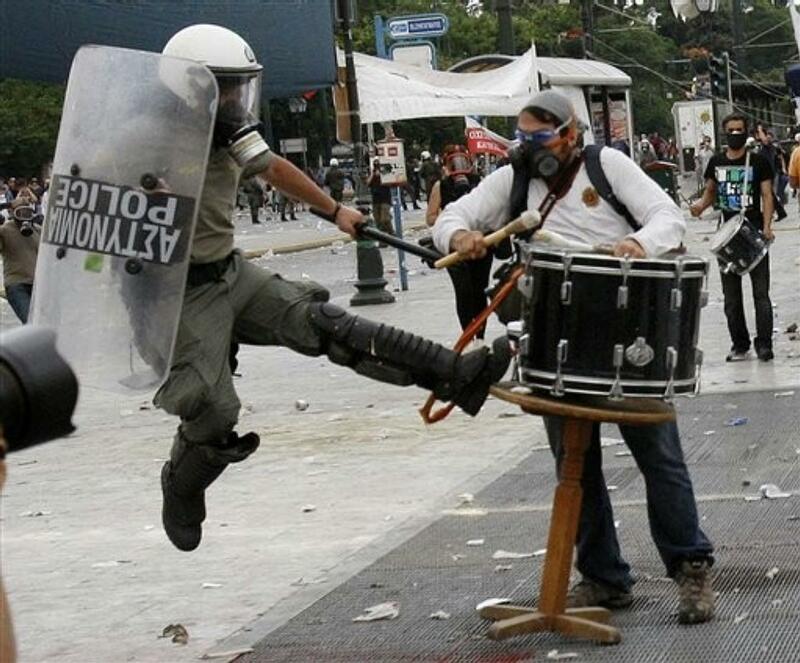 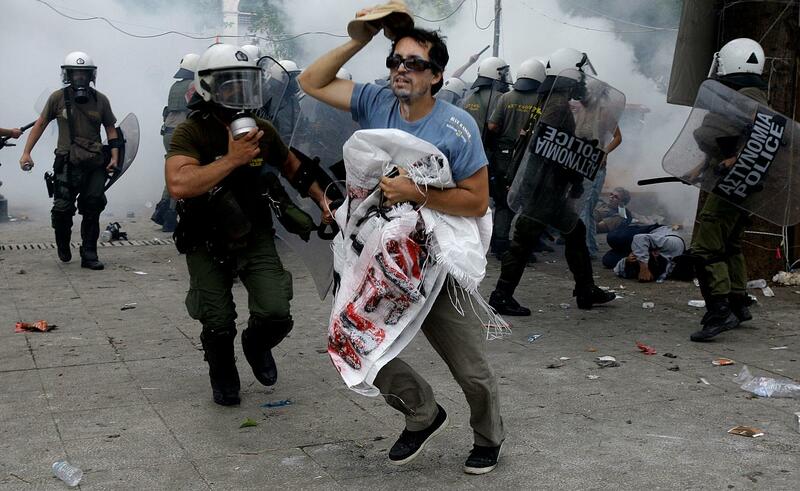 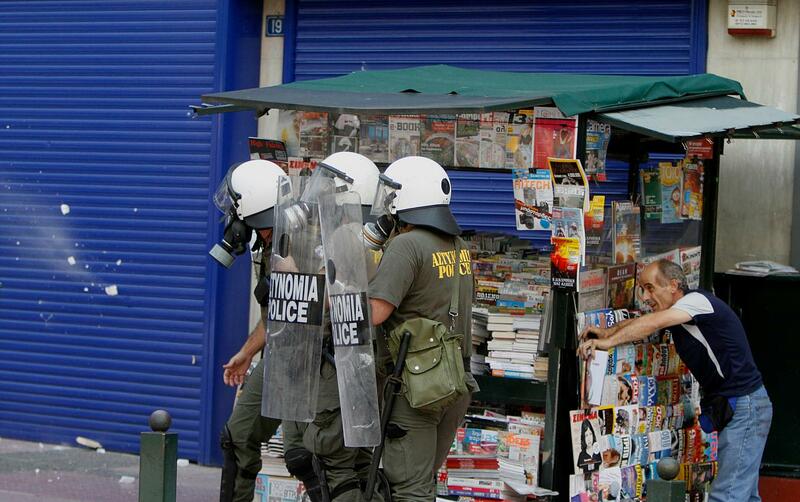 A news stand owner takes cover behind his stand and riot police shield themselves as demonstrators, unseen at left, throw stones during clashes at a union protest in Athens on Tuesday, June 29, 2010. 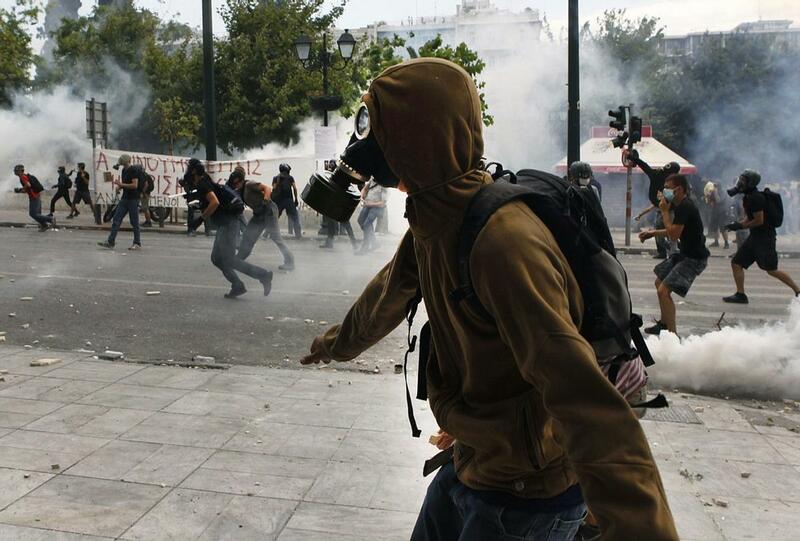 Some 16,000 people took part in two separate demonstrations, the second of which turned violent as stone-throwing youths fought with riot police. 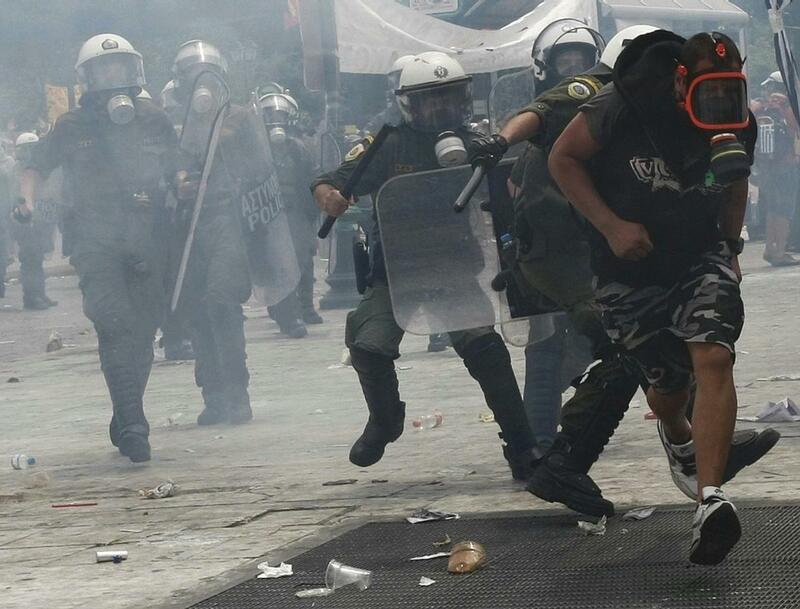 Public services shut down across Greece Tuesday as workers walked off the job in a new nationwide general strike that disrupted public transport.